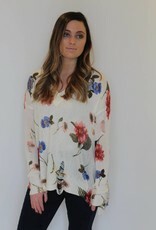 The prettiest floral print you ever did see! 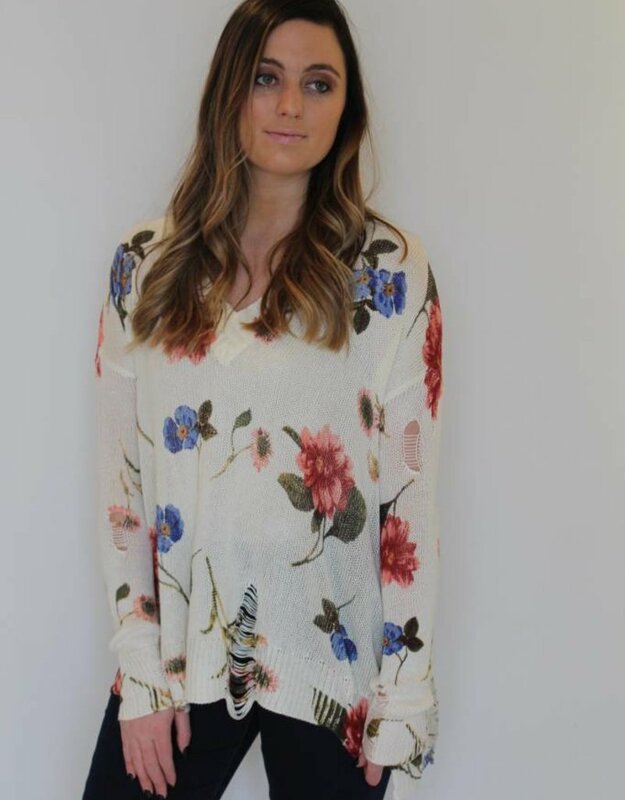 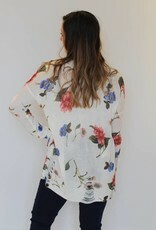 This distressed floral sweater is what dreams are made of. 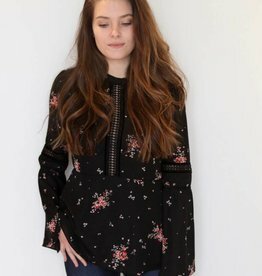 Featuring a distressed floral detailing, a v-cut neckline and a high-low hem. 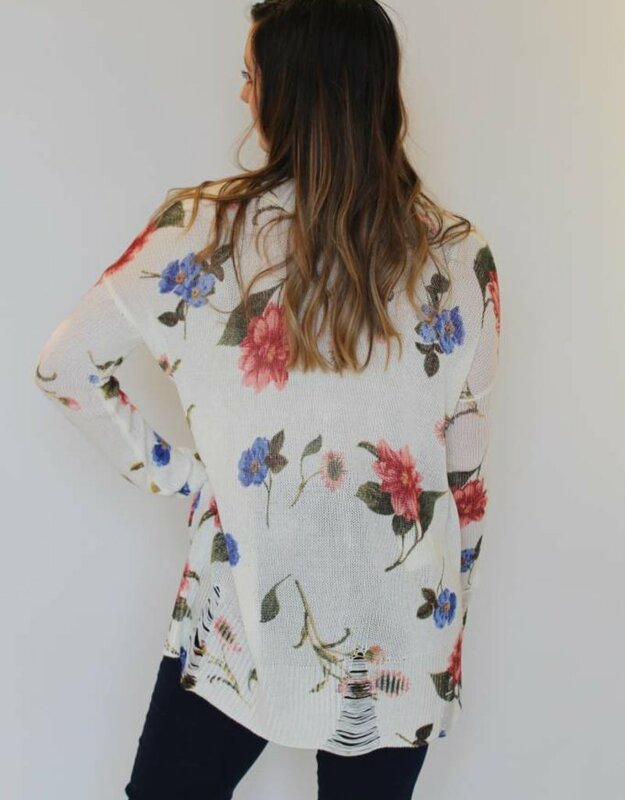 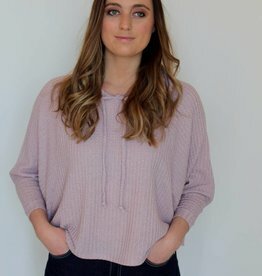 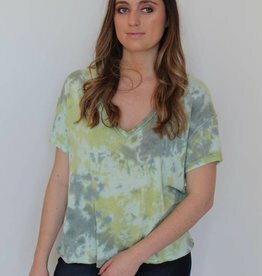 Pair this sweater with your favorite denim jeans or shorts for a casual look or over your favorite dress for a more elevated look!